With a year left on its contract, the Western Michigan University's professors' union is trying to get a 9-year extension done by the March deadline that would give union members the right to not pay dues or fees as a condition of employment at the school. That would lock everyone represented by that union into paying dues or fees until 2023. Michigan Capitol Confidential obtained a draft of the proposal of the plan, which was verified by union members. It was drafted Jan. 23. The agreement would be a collective bargaining agreement known as a “union security agreement” (USA) that would be separate from the regular contract that covered wages and benefits. In the current contract, WMU professors who fail to comply with the provision forcing them to pay dues or an agency fee to the union are suspended for two days without pay. Part of the memo being circulated predicts dire consequences for the union if its members are given a choice as to stay with the union. "Without a new USA, significant reduction in membership dues support is likely in the wake of RTW …" reads the memo that covers frequently asked questions. Rep. Tom McMillin, R-Rochester Hills, said he thinks the legislature could take action against colleges that try to circumvent the right-to-work law. Rep. McMillin said he thinks the legislature could restrict funds to colleges through the state’s Economic Vitality Incentive Program, which is described by the state as an incentive-based grant program that replaces traditional statutory revenue sharing. "WMU could end up getting less from the state in their appropriations," Rep. McMillin wrote in an email. The union security agreement would have to be passed before March 27 to be allowed. That's the date when the right-to-work laws take effect. WMU Spokeswoman Cheryl Roland said Friday that the administration had not received the proposal from the union and couldn't comment. 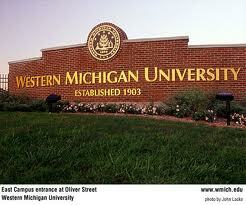 The next Western Michigan University Board of Trustee's meeting is scheduled for Feb. 27. Joni Jones, a former Western Michigan University professor, said she received the proposal from current union members. One union member who wanted to remain anonymous confirmed the proposal was being circulated among union members. President Matt Mingus and Vice President Lisa Minnick of the Western Michigan University Chapter of the American Association of University Professors (WMU-AAUP) didn't respond to a request for comment. WMU trustee Michelle Crumm said she didn't want to comment. After Capitol Confidential posted it's story, Mingus told MLive that the union has not started negotiating with the university. He did not deny that a 9-year extension was being considered by the union.